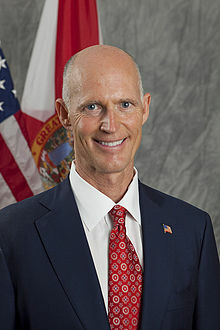 TALLAHASSEE, Florida -- Florida became the first state in the U.S. to regulate the use of law enforcement drones today after Florida Governor Rick Scott signed into law drone regulation legislation that unanimously passed the Florida Legislature earlier this month. Sponsored by Sen. Joe Negron (R-Stuart), the “Freedom from Unwarranted Surveillance Act” (SB 92) and its House companion bill (HB 119), sponsored by Rep. Ritch Workman (R-Melbourne), regulates the use of drones by law enforcement to gather evidence or other information. 4. Department of Homeland Security declares a terror threat. If law enforcement fails to comply with the provisions, the bills provide that a citizen can sue for civil damages and any evidence obtained would be inadmissible in court. After the law's passage, the Orange County Sheriff's Office, which has been the biggest proponent of drone use in Central Florida, tweeted today: "With Gov. Scott signing SB 92 the OCSO will reapply for authorization and move forward with the unmanned aerial system program." 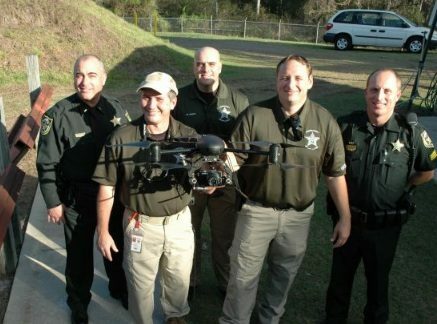 OCSO said in a news release that it is currently in a test phase of this Unmanned Aerial Surveillance (UAS) platform and "will not be using this UAS until we have appropriate permissions and have implemented training and guidelines." The OCSO said it has "no intention of using this technology to spy on the citizens of Orange County, but to have it as a tool, like many others to bring a dangerous and potentially deadly situation to a safe conclusion, such as for a barricaded suspect(s), chemical spill, bomb threat, a missing person or child."